Can still feel that back tweak there. Was out in the garage before lunch. I was really struggling to figure out a goal pace for this. In the last two months I have plenty of different samples, but the work:rest ratios are all a bit different. Going in I was set on 1:50/500m, but was doing 1:49 in the first interval so I stuck with it. Could have gone faster. My meters were 413-413-413-414-413-414-414-413, so another consistent one. Went to the gym at 4pm. I did this instead of 5×5 deadlifts. First 2 sets I was holding the KB in the wrong hand and it was an awkward stance. In addition to the red band, I’m pushing off the pads a bit with my hands so I don’t put stress on my back. I think I got 2 sets of dubs unbroken and missed 3x in one of the sets! Scaled 8 muscle-ups down to the 8+8 and was able to do each movement unbroken, wearing grips. The bar I was using was a tad too low for me, so I actually had to spread my legs in my kip which felt really weird. Instead of doing 5 muscle cleans (155#) I figured the high box jumps would still get me working on leg drive and hip extension. Cruised through this one in 12:55. Quick trip out to the garage before lunch. Very similar to the 7-5-3-1 work yesterday. Wasn’t feeling 82-83 RPM today though and it ended up being around 80-81. Did 237-239 cals and exactly 2.81 miles both intervals. Did this instead of OHS because of my back. Still doing the A version of the 21s. Missed a DU or two in almost every round. Had to go slower than normal on the wall balls due to my back, which I could feel on the jumping and the wall balls. I did 3×5 on every round of pull-ups. Got through 5+30. Even though I was up late watching the games last night I got up and went in for 9am. Good crowd this morning. Teamed up with Tom and TJ. 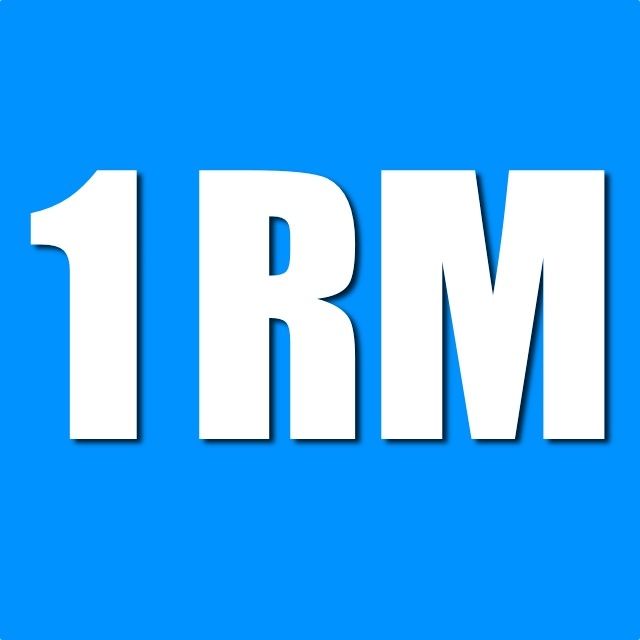 I started and averaged about 1:48/500m throughout, feeling good on the rower. I got through my 9th row and Tom finished off the 6,000, but I finished that round of burpees and my double unders at 25:41. I kept a nice steady pace on the burpees, but missed quite a bit on the double unders. Ended up getting 20-25 seconds of rest each round. Our team averaged just over 230 meters per turn. I’m beginning to think this is my triplet! Started feeling some soreness in my hamstrings after sitting at home. After lunch I did more rowing. Didn’t bother to warm-up. My distances were 113-114-112-113-115-114-115-113-115-115 meters. I was under 1:30/500m by the third pull and kept it at about 1:27. My average pace for the workout was 1:27.7, which is also the pace when getting 114 meters. Recovered really well between intervals, so probably should have gone harder. I guarantee I’m not going to any time soon, but I keep thinking I want to redo 19.5 to put in a better effort. Hopefully I stop thinking about it after today’s workout. I have to remember I got through these last three workouts with a significant injury, which prevented me from attending classes; I haven’t been able to squat at all or press any weight overhead. It will still be close to my best, if not the best, Open percentile ranking in the 8 years I’ve done it. My quads and traps are incredibly sore today. Probably worse than post-Karen DOMS. Went to open gym at noon. The first time I tried this hero WOD, we greatly underestimated it and had to scale back to 21-11. Then two summers ago I completed it in 10:06. My goal for today was to go sub nine. The plan was 3×7, 3×5, and 5-4 for both types of push-ups and all triples for the dips. Figured it would come down to the ring dips. I ended up doing 3 equal sets for all HSPU. Ring dips were 7×3, then 2 sets of 3 and the rest quick singles. For push-ups I struggled through 3×7 and then did triples the rest of the way. Finished in 8:04 for a 2:02 PR!! Missed two dubs in the first round after 71 in a row and I don’t think I missed in the other sets. I thought the lunges were going to be harder than they were. Took me 8:01. Took 10:23, which is 2:17 quicker than about a month ago. Wonder if the plank jumps will fire up my hip flexors like last time. I planned to do some rowing intervals tonight, but my WHOOP recovery is only 12% and Mom is visiting for the night, so cancel that. Tomorrow will probably be a complete rest day, unless I get back in the green. Either these Open workouts are really blowing me up or the cardio work is more taxing than I’d expect. This right shoulder may have something going on. It feels like other times I’ve had an issue. I’m really hoping it’s a couple day thing that passes. Like other times I didn’t really do anything in a workout and I started feeling it on Monday when I only did cardio work. Maybe the cumulation of workouts Friday, Saturday, and Sunday? I got a great night of sleep. I don’t think I’ve mentioned it, but I got one of the WHOOP bands last week and I’m really liking it. Nice to have sleep tracking again and the recovery scores and data really push me to improve these other areas of my life. Before I got out of bed I was thinking I’d wait and row before lunch, but after I got moving I felt like getting it done. Tried to get down to 1:37-1:39/500m by the 5th pull and towards the end I realized I could be using my legs better in those first pulls to get up to speed sooner. My overall average pace was 1:41.6/500m and 1,446 cal/hr, which would be 216 calories. There isn’t a way to go back and see cals for each interval, but I saw that the last one was 12 so the maths work. Meters for each interval were 148-150-148-147-147-148-147-146-145-147-147-147-147-147-147-149-148-149 to total 2,654, for an average of 147.4 and a range of 150-145. I thought this heart rate graph was interesting in several ways. I think I’m actually liking the cardio to start the day! Went to the 4pm class. Wore my lifters again and put the belt on starting with 185. Tried to drop under the heavier power cleans more instead of getting really wide with my feet like I normally do. As I was wheeling out the Assault Bike, my back started to lock up and it felt like a tweak. I tried to stretch it and roll on the floor. Seemed good enough to do the workout and if it is a tweak I know it doesn’t gets worse after it’s already happened. I guess my body didn’t like the combination of squat snatches followed by 117 deadlifts yesterday and then the cleans today. All single pull-ups. Obviously. I used a shorter bar than usual, got my arms in to extension and picked my feet off the ground. Did my pull-up, dropped from the top to skip the descent, and then right back on the bar for the next rep. There is no reason to do sets unless you can immediately jump on the bar and bust out every set unbroken. I started out around 70 RPM, fell in a rhythm around 68, and then realized I could pick up the pace for the last 3 rounds. Am I getting better on the bike or was this just not a taxing workout on the lungs? Probably the latter. My dubs felt great and I never missed. Finished in 15:38. Tried a new route by increasing the dumbbells on the first set this session. Interesting that the end of sets two and three didn’t feel like as much of a struggle as it had been using 20s for every set. I did some foam rolling on my back and will get on the inversion table tonight. Hopefully I wake up fine in the morning and I’m over the hump. Fingers crossed that this isn’t a back tweak and my shoulder feels better too! Got Taco Bell yesterday for lunch on my rest day to remember a friend and I felt terrible the rest of the day. Got a headache stomach was rolling. It was almost 1,800 calories so I ended up skipping dinner. With the close of scoring for 19.1, I ended up with a better ranking than any of my 2018 efforts. I always base my rankings on the number of men who have completed the workout, not sign-ups. 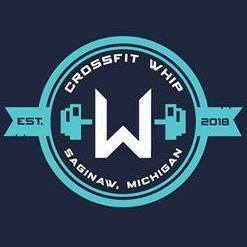 A group of us went over to CrossFit Bay City to throwdown tonight at 6pm, which is later than I’m used to for a workout. Same as 16.2, but everyone gets at least eight minutes this year instead of possibly getting cut off after 4 minutes. In 2016 I had about five minutes to work on the 3rd round and I finished the double unders with 6 seconds to spare, so I didn’t even touch 225 pounds. Back then I did 11-8-6 T2B, round two was 5-5-? ?, and round three was mostly slow singles which killed my chances. I completely blew up. I’ve been doing mostly sets of fives toes to bars in training, which allows me to go deep in workouts, so that was the plan this time. Even if it takes an extra 10-20 seconds in round one I figured I’d get it back in round two and hopefully have some hip flexors left in the tank for round three. My T2B endurance is a lot better now and I’m 10 pounds lighter. In 2016 there wasn’t a 35-39 master’s division yet, but according to the BTWB data for 16.2, finishing the 3rd round of double unders should get a top 10% ranking. I really wanted to hit that 225 pound bar this year. Felt good starting off with 5×5 T2B and did them in under a minute, which surprised me. I think I missed once on my dubs. The cleans felt ok and I was done with them at 3:25 I think, so about 30 seconds slower than 2016. I was hoping for something near 3:30 so that went according to plan. 5×5 in round two felt good again. My double unders weren’t so great. I think I had just over 2 minutes left for the cleans and finished them 10-15 seconds to spare, which is slower than I wanted. Those cleans wiped me out! My hip flexors were shot and I couldn’t do anything more than single toes to bar in round three. My hips were hurting to just stand! Finished them at 11:01, missed a bunch of double unders, and finished them right as time expired. So I got 253 again, with a tiebreak six seconds worse. Still didn’t get to touch the 225 pound bar. I did not feel good and quickly got a headache. I had my belt on loose and then tightened it up for the 185. Didn’t wear any grips. A bit disappointed, but I need to be fitter. Simple as that. My T2B felt great, but those 185 pound squat cleans blew me up. Need to start hitting heavy weights again. My neck and low back are a little tight from looking up at the wall for 152 reps. My shoulders are a little sore too, but my lower body seems fine so far. I set an alarm to get up for the 9am class since my rest schedule is changed for the Open. I started to feel my legs more every set of squats. I hadn’t looked at my logs since the workout went up after getting to the gym, so I couldn’t remember what I’ve been lifting. Nice surprise to smoke the 5×215 I did a month ago. Gains baby! We were on a clock, so maybe working up with fewer sets made a big difference. This was really an alternating EMOM with 3 stations, but it was easier to record on BTWB like this. I started with a nice set of 75 double unders, but missed a couple of times in most rounds, so was usually getting 65-75 reps in about 45 seconds due to transition time. The push jerks weren’t too bad and the ring rows felt really solid. This workout got a lot sweatier than I was expecting because there really wasn’t any rest with the holds. I wasn’t excited about moving so early, but it feels good to have a workout done for the day.